Given my strong Dutch heritage through my maternal grandfather (via Middelharnis), I am especially proud to announce that the Dutch translation of my popular science book, Polar Bear Facts and Myths (suitable for children aged seven and up), is now available through Amazon worldwide in paperback. The translation was done by native Dutch speaker Marcel Crok who is a journalist and science writer in The Netherlands (see @marcelcrok on twitter). In Dutch the book is called Feiten en Mythes over IJsberen. Please pass along to your friends, relatives, and colleagues in North America and abroad. The English version is still available in paperback and ebook formats, and the Norwegian translation will be available shortly. Other translations in French and German are already available. 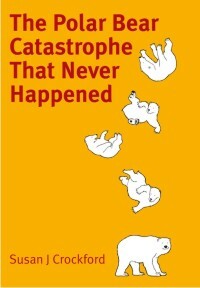 Children around the world have been led to believe that only a few hundred polar bears are left in the world. However, the relentless messaging that polar bears are doomed (and that this is all the fault of humans) is fortunately false. It is time that children learned the truth, including those that speak and read only Dutch. Here is the good news the children need to hear: polar bears have not been driven to the brink of extinction by anthropogenic global warming. In fact, there are many more polar bears now than there were 50 years ago and the global population of polar bears is a healthy size, despite the fact that summer sea ice has been at levels predicted to cause catastrophe since 2007. Polar bears have managed just fine with low summer ice: against all expectations, their number have increased in recent years, not declined. 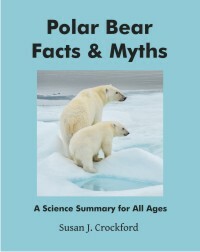 Polar Bear Facts & Myths is an uplifting science book about survival in the Arctic that is sure to please children and parents alike. 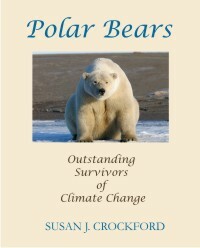 The trolls are out in force at Amazon, posting negative reviews of my new book, Polar Bear Facts & Myths – they just hate it when credible scientists won’t promote a message of doom. It seems folks of this ilk truly want children to have nightmares about drowning, starving polar bears; they encourage kids to frantically turn out lights in a vain attempt to “Save The Sea Ice” while unbeknownst to them, the polar bears and seals prosper. I expect those same fear-mongers will really hate my next book, due to be released early next week, because it presents the evidence in a way all readers will understand with the references to back it up. Polar bears and ringed seals are thriving despite recent losses of summer sea ice and there is seemingly a huge body of activists and scientists who don’t want people to know that simple fact.